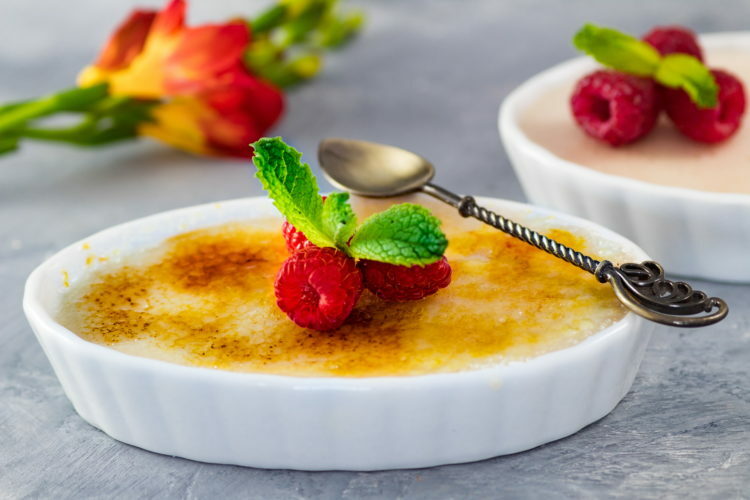 Crème brûlée is a classic French dessert with a lovely vanilla taste, and caramelized sugar on top. 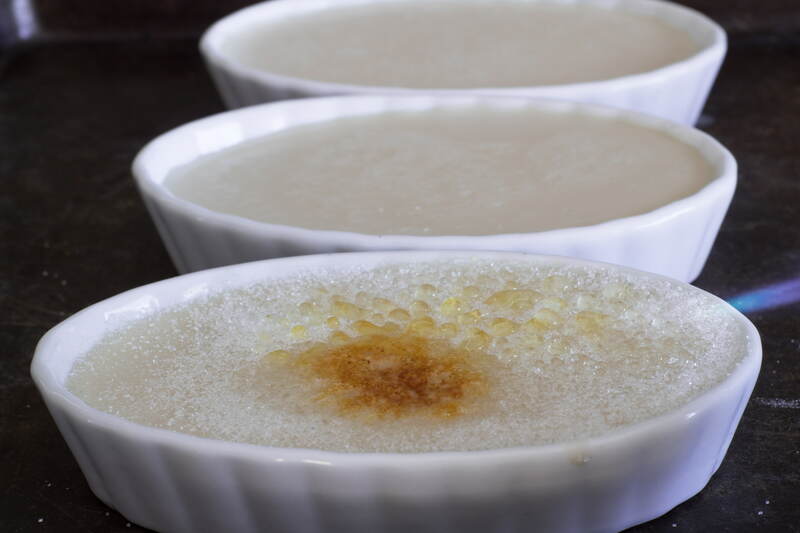 Don’t you just love the combination of the creamy pudding, and the crunch of the carmelized sugar on top? The coconut cream gives this dessert a silky, rich quality that you will love! I recommend measuring all the ingredients first and getting it all close by the saucepan. If you like your desserts sweeter, feel free to add more sugar. I used coconut sugar, but you can use whatever sugar/sugar substitute that you prefer. 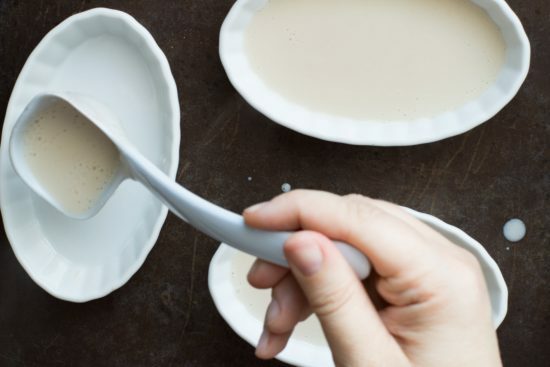 Start by whisking the agar agar powder into the coconut milk. It is very important to make sure that there are absolutely no lumps in it before adding the rest of the ingredients. Bring to a simmer while whisking it constantly over medium to medium-high heat. Pour into the four ramekins and cool in the refrigerator for at least 90 minutes. You have to make sure that it is completely cooled so that the crème brûlée is set. 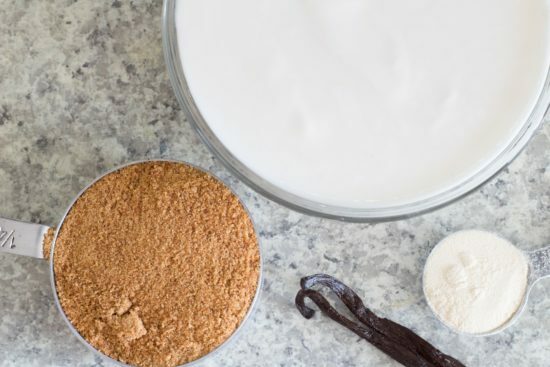 Sprinkle with sugar, and either use a dessert torch or put under a broiler for 15 – 20 seconds. Then enjoy immediately after. I was so excited that I was able to catch the flame bowning the sugar in this picture! In a saucepan, combine the coconut cream and the agar agar. Whisk until there are no lumps. Add the 1/4 cup of sugar and vanilla. 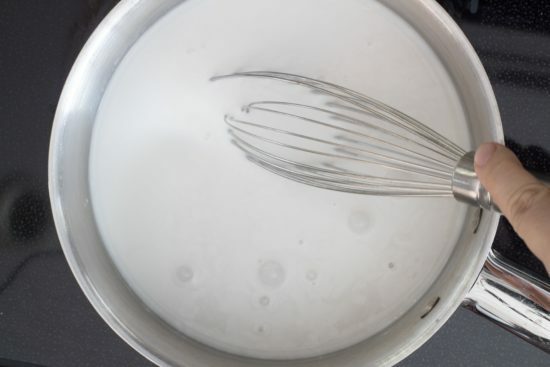 Bring to a simmer, and simmer for 2 minutes, whisking continuously. 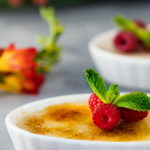 Remove from heat and pour into four ramekins. Refrigerate for 90 minutes, or until completely cooled. Once cooled, top with sugar and either use a torch, or place it for 15 seconds under a broiler. Yum! This is so delicious. 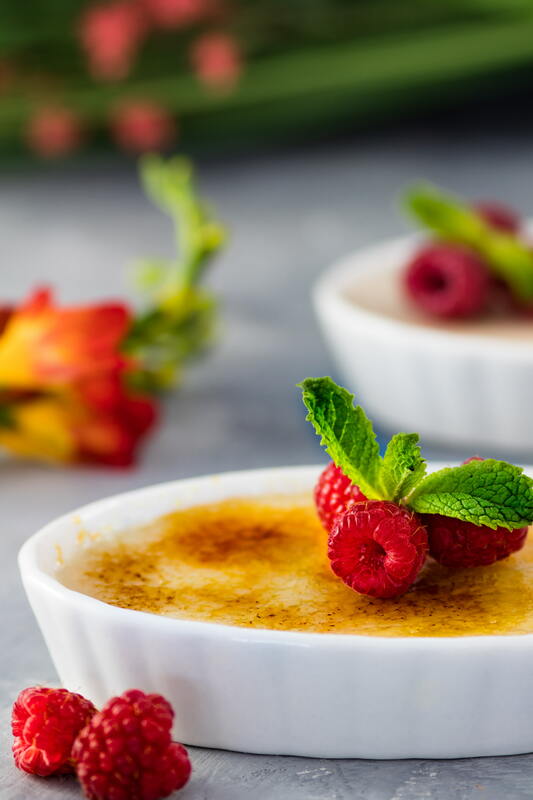 Impossible to tell any difference between this vegan version and a non-vegan version of creme brulee.